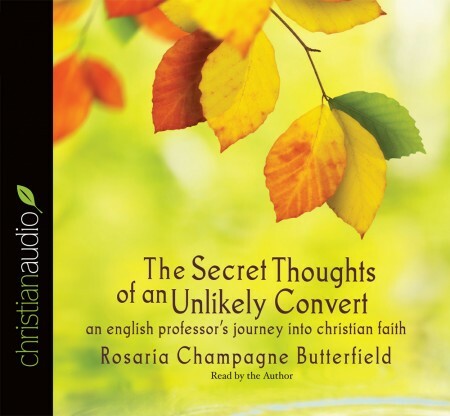 The Secret Thoughts of an Unlikely Convert by Rosaria Champagne Butterfield is the intimately personal story of a woman coming to God over the period of a couple of years. This is a very interesting testimony of a woman far from God, who slowly comes to know Him not as a judgmental God but a loving one who is interested in her life. Rosaria had to struggle with the homosexual, atheist lifestyle she was living as well as other obstacles from both within and outside of the church. It truly is a fascinating conversion story but it doesn't stop there, it deals with trying to fit in at church, developing a loving relationship with a man and adoption issues after marriage. I found most of this book to be intriguing and provoking with hints of sadness as fellow Christians tried to push her away rather than see the person she could become with Christ. Some of the opinions near the end of the book on singing only psalms and home schooling, I didn't agree with and didn't really fit in with the rest of a good testimony but the good far outweighs the bad. The narration was very good I thought as it was the author narrating it and it is a very personal journey to faith, so her delivery, emotion and tone were very evident. Also being a former English professor her delivery is very clear, which made listening easy. This book would be great for anyone to read as it would have applications to all different walks of life. It would be especially helpful to people struggling with homosexuality or intellectual struggles with Christianity.